← Church or Weekly Speech? This is a shameless, self-promotion of my ebook. It’s a reprint of my Christian History Newsletter. I’m allowing myself to do both because the general reaction to the ebook—It’s a full-fledged 440-page book on the Council of Nicea—has been surprise that it’s so interesting. This blog explains why they’re surprised, and why we shouldn’t be. The Council of Nicea transformed the faith to which you and I belong. But who knows? That’s not the fault of the story. The Council of Nicea could easily be a Hollywood movie. Intrigue, murder, vying for power, sinister plots, religious hypocrisy, but also some gallant, earnest, and courageous men and women. The motto of Christian History for Everyman has always been that we’re rescuing our heritage and stories from the boring halls of academia. Think about it. What is history? Isn’t it the collection of stories and facts that we think are the most interesting, exciting, and memorable of all time? How could that be boring? Hollywood gives us, mostly, the made-up stuff. Exciting as that is, real history’s BETTER! Wow. I never dreamed this would be interesting! You have to work to make the Council of Nicea boring. You have to work even harder to make the Council of Nicea boring for Christians. It’s full of fascinating twists and turns and the most incredible scheming! Arius, the man who started all the hoopla, was excommunicated by a council of over 100 bishops. Why didn’t that simply resolve the issue? The answer is that a distant relative of the emperor used his political influence to move himself from the insignificant town of Berytus to the residence of the emperor in Nicomedia. His name was Eusebius, and he hated the bishop of Alexandria–the very man who had led the excommunication of Arius. Further, both Arius and Eusebius had been taught by an elder from Antioch named Lucian. Lucian had been out of communion with the church of Antioch for at least 16 years and possibly 35. Later, though, he’d returned, was martyred, and today he’s “Saint” Lucian, whose feast day is celebrated every year on January 7. Eusebius gave Arius just the leg up he needed, and the rest, as they say is history. In their efforts to have the bishop of Alexandria framed for some crime and removed, Eusebius managed to get hold of a severed human hand. He claimed that the bishop of Alexandria had tortured a bishop who agreed with Arius, then cut off his hand to use in magic rites. Unfortunately, the supposedly tortured elder, named Arsenius, couldn’t contain his curiosity. So he turned up in a tavern not far from the court. The stories are incredible. The twists, delightful. The information, crucial. I mentioned the bishop of Alexandria above. I actually mentioned two of them, but I didn’t tell you because it seemed a distraction. Eusebius hated both of them. One excommunicated Arius and battled Eusebius at the Council of Nicea. The other was Nicea’s greatest champion afterward. How did that first bishop meet the second? That story, too, is fascinating, but I’m not telling it to you here. If you’re getting this newsletter, then you’ve been to Christian-history.org, and you liked something enough to sign up for my newsletter. I haven’t had time to do the newsletter since December because I’ve been writing this book, which was research-intensive, to say the least. Hopefully, if you’ve read much of my site at all, you know the incredible effort I put into every page. I don’t gloss over things. I research them, and I tell you where the stories came from. Whenever possible, I tell you stories from the people who were there. 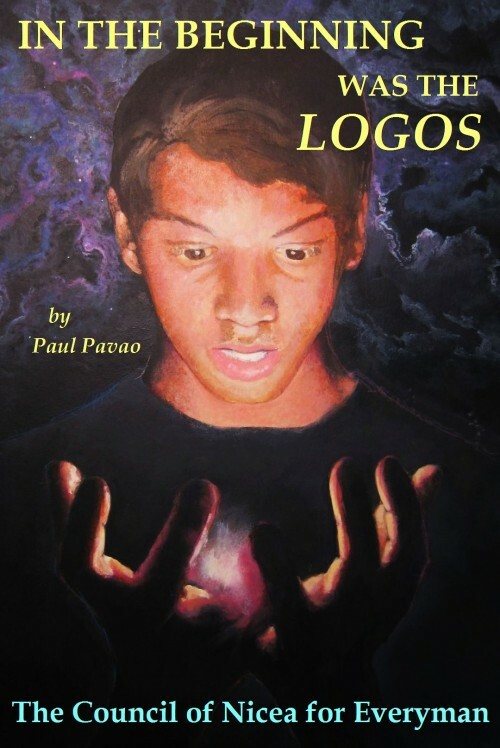 In the Beginning Was the Logos is no different. The Council of Nicea made some decisions. Their creed is recited in millions of churches every week to this day. I want to show you that almost every church that recites it pays very little attention to what it says. There was another man named Eusebius at the Council of Nicea. He was a historian, and he was having some trouble with both sides of the debate. So when the creed was formed, Eusebius the historian asked some questions. He asked lots of questions. Then he wrote a letter. He asked the meaning of every controversial expression in the creed. Then he wrote to his church and told them what the council itself said those words meant. Does anyone care? Why would we forget such things? They brawled in bars over these words, and they beat each other–quite literally to death–in the streets over these things. Why? What was so important? What can we learn from this most momentous event in the history of the church? I believe that this is the easiest to understand, the easiest to verify, the most interesting, and the most believable book answering those questions that exists. What I’m hoping is that this email and what you’ve seen on my site makes you believe me enough to find out. I’ve convinced the friends who know and trust me. They expressed genuine surprise as well as some joy that this history can belong to them as well. But can I convince you? That link will take you straight to Christian History for Everyman’s page about the book. For this blog and for the Christian History Newsletter, I’m offering half price, at $9.95, until April 15. (This book is over 400 pages. It’s a full treatment of the subject, and it’s quick-paced all the way through.) I’ll put the price back to $19.95 the next day and advertise it on Christian History for Everyman as well. For now, it’s just those who read this blog and get my newsletter that can get the book! You will never have felt so close to history before, and you will never have been more confident that you know what, where, who, and why about any other event of history. This event matters to all of us. This entry was posted in History, Miscellaneous and tagged book, christian history, council of nicea, in the beginning was the logos. Bookmark the permalink.